Welcome to our second Christmas feature on the best gifts for kids! We’ve done gifts for newborns so now it’s time for the one to three-year-olds – often a tricky age to buy for as kids of this age are still putting lots of things in the mouth. It’s the time when they really start showing an interest in toys and playing is crucial to their development so you’ll see a focus on toys for this stage of life. 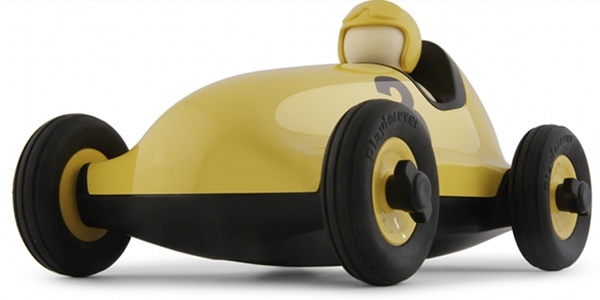 Look no further than Babyology’s top ten gifts for your toddlers! 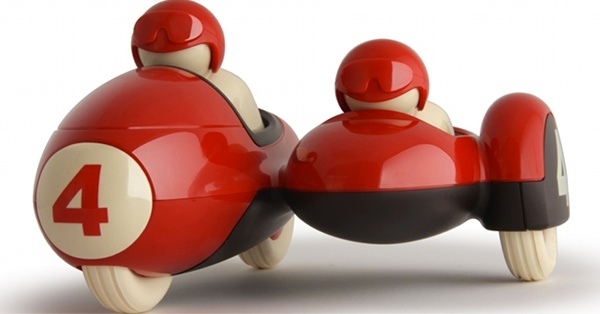 To handle these magnificent Playforever toy vehicles in person is an experience to remember. They’re super glam, robust and ultimately desirable for young and old alike. 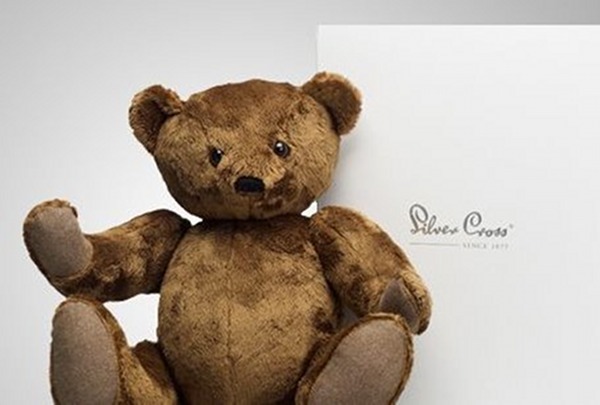 They are a bigger size than most toy vehicles and are suitable for all ages, making them a fantastic heirloom present for a newborn to enjoy later. Each vehicle has been tested to the highest safety standards and you can take the brand name literally – they are virtually indestructible. Most of the range except the limited edition collection is available at Urban Baby with each vehicle priced at $89.95. It’s no secret we’re besotted with Janod’s range of wooden toys and this is the perfect age to indulge the passion! 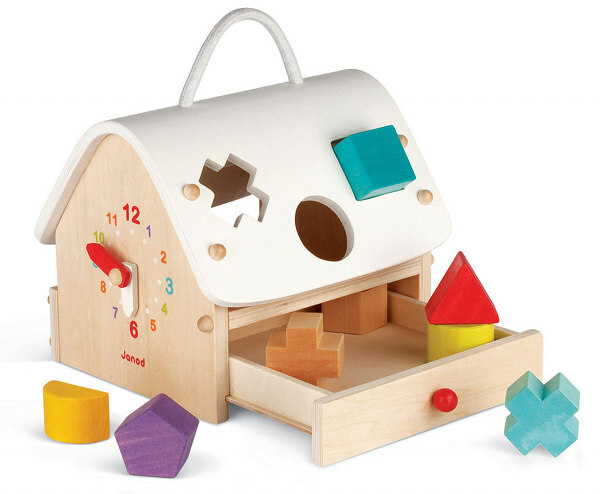 Just look at this dinky shapesorter house waiting for a little one-year-old to give it a workout. It’s $54.95 from Urban Baby. 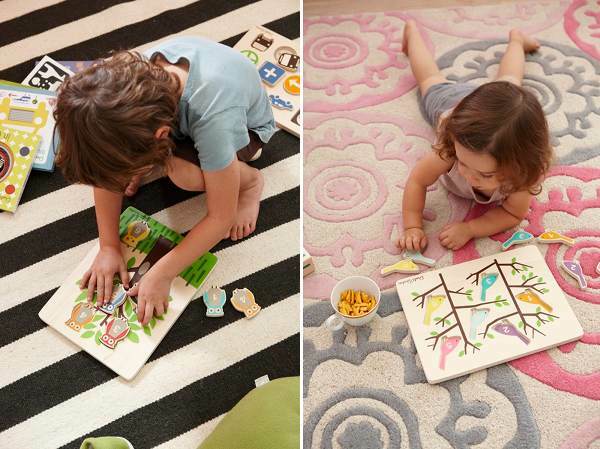 We love these inexpensive new puzzles by Dwell Studio. A great option for nieces and nephews and also for filling those Santa sacks you didn’t realise were so big when you bought them! Choose from Counting Birds, Owl, Signs and Stacked Animal for $21 each at The Hip Infant. We bought our eldest son a child-sized table when he was about three and he is still using it three years later! Now that P’kolino is available to Australia, we couldn’t resist this must-have buy for our top ten! You’ll get years of use out of it, especially if you plan to have more children – a small table facilitates hours of play and creative exploration. It’s available in orange and white options for $249.95 from Babynation. The perfect present for a two-year-old is a play kitchen. Yep, boy or girl, this item will be used every single day of its life. We can’t go past this red retro one from Hip Kids which is also available in pink and blue. 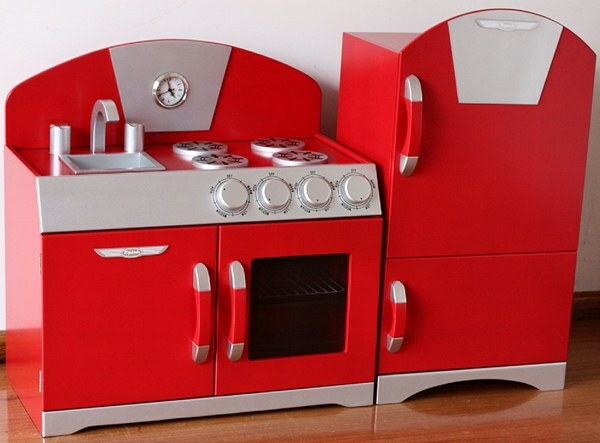 The complete set is $319.95 or $219.95 for just the sink/oven unit, from Hip Kids. If you prefer neutral colours, then go for the Plan Toys kitchen from Bebe. Vibrant fruit, delicious sandwiches, lip-smackingly good biscuits and yummy sushi equal heaven for the taste buds. 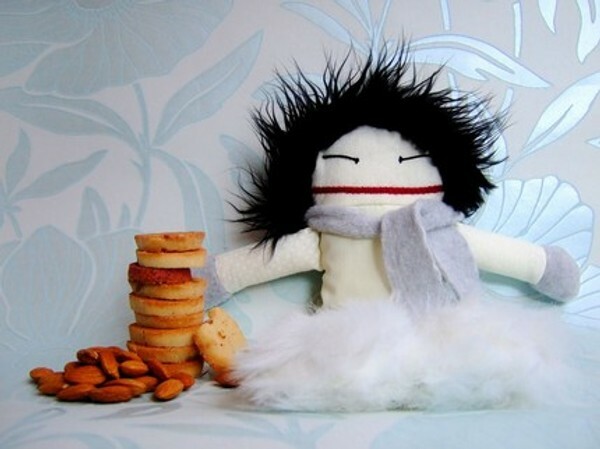 High quality craftmanship, soft, tactile and colourful, the Munchies are multifaceted! For instance, the sandwich pack comes with ten ingredients that can be used in any way the imagination sees fit. How about a beetroot and avocado sandwich? Buy Material Munchies from Life’s a Stitch to go with the Hip Kids kitchen! 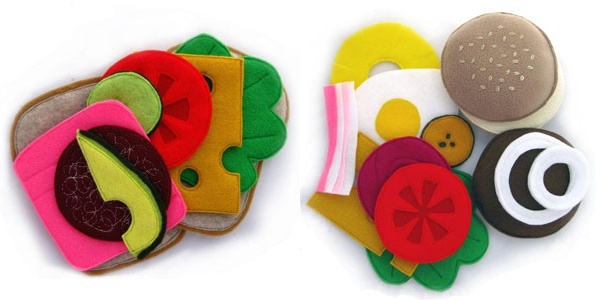 The play food is handmade in the Blue Mountains from a fusion of wool, acrylic, cotton and viscose. My son received a Mini Micro Scooter for his second birthday and now that he’s three, he’s an expert on this marvel of a machine. The company has just released three new colours – yellow, red and green – and I’m not sure we can go without the yellow one! 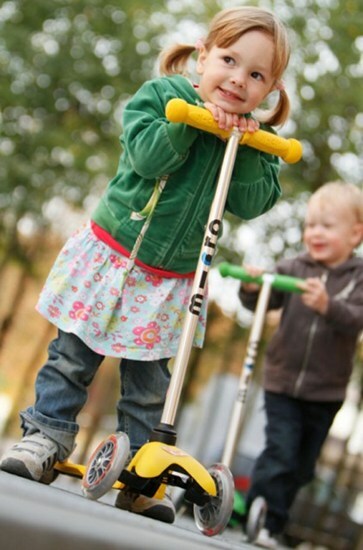 They’re super sturdy and allow children to develop their co-ordination safely. The new colours are $129.50 with the pink and blue at $119.50 – delivery is free at Micro Scooters. 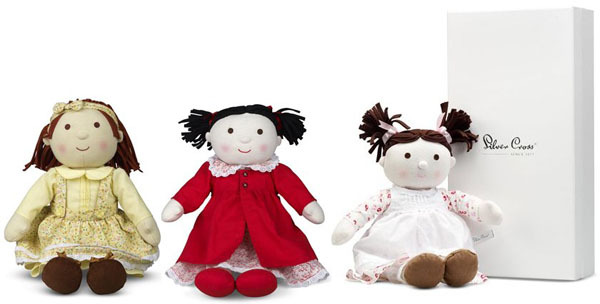 We’re still in love with these incredible dolls for boys and girls from Raplapla. Their lovable looks, permanent smile and love of fine food will capture the hearts and imaginations of many, especially those with a thing for softies! Be sure to read the blurb on each doll as they’re incredibly entertaining. They’re $50 each on sale at Yooneek. With all those summer holidays ahead, we just know there will be more than a few Terry Rich robes for kids under the tree this Christmas. 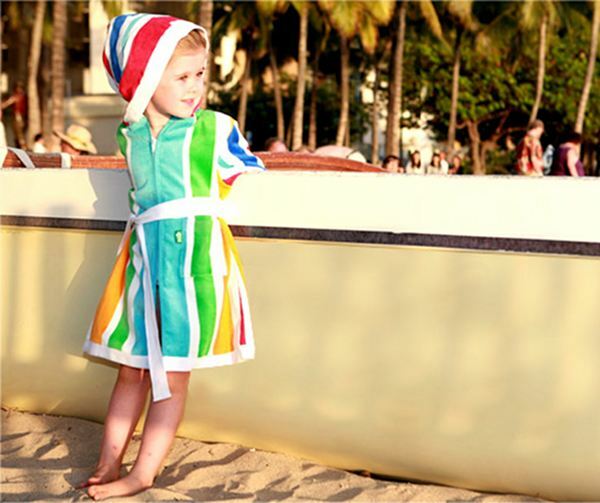 When we saw them at Melbourne’s Kids Instyle trade show in August, we went gaga over the quality and the colours. Choose from the Beach Robe with or without sleeves, plus the Splash Jacket, Summer Robe, Sundowner and Classic Swim Robe from Terry Rich.